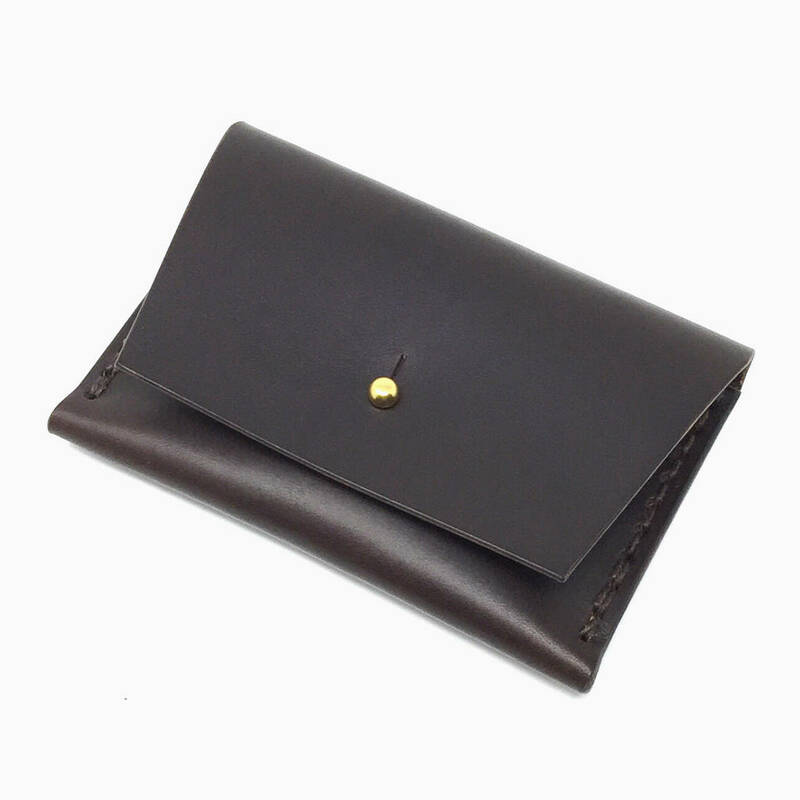 A simple and sophisticated handmade leather card holder that can be personalised for that special touch. The card holder is made from one pieces of leather, stitched with waxed thread and held closed with a natural brass Sam Browne stud. The edges are burnished by hand and sealed with natural beeswax. 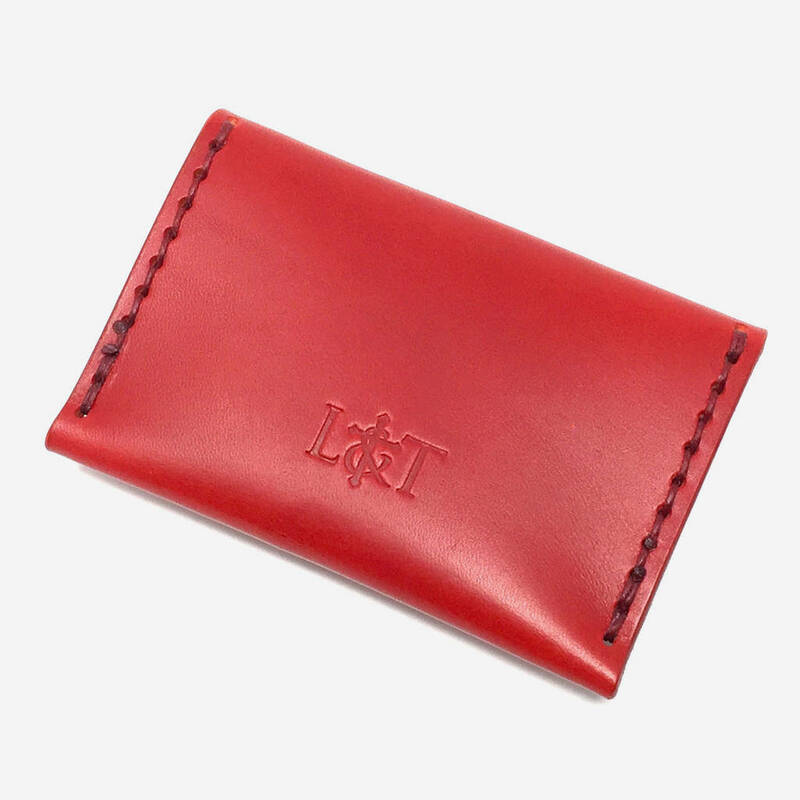 Designed to hold 8 to 10 cards and some folded cash. 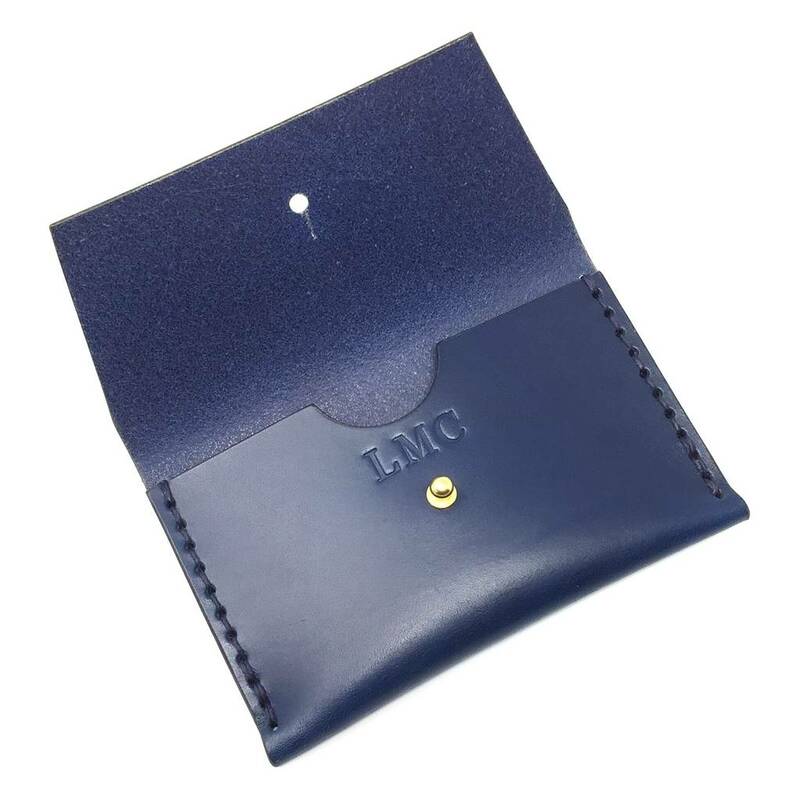 Our leather card holders come in a branded 100% recycled natural card gift box. The personalisation will be just above the Sam Browne stud, so hidden when closed. Please note all sales on personalsied items are final. 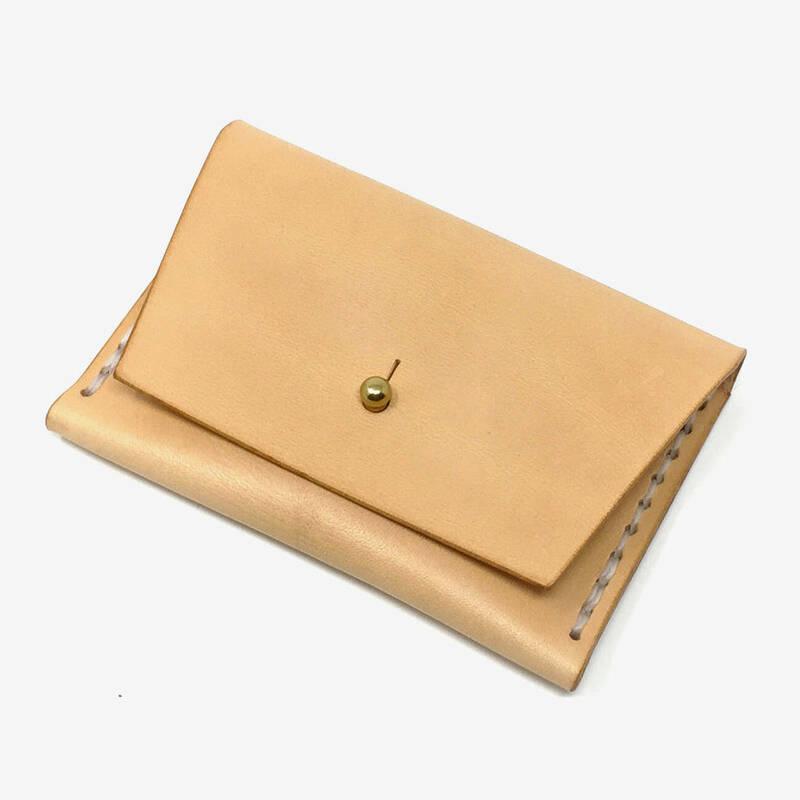 Vegetable tanned leather and waxed thread. 10.5cm wide x 7.5 cm high.